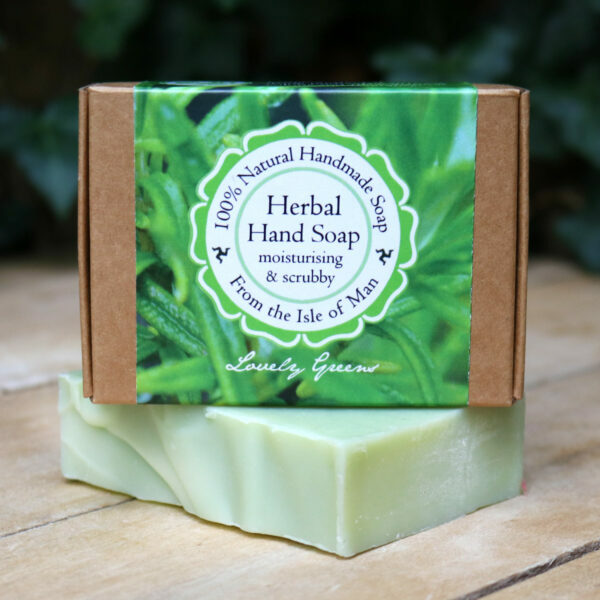 Here at Lovely Greens I hand make all my bath and beauty products from natural ingredients on the Isle of Man. Amongst them is my Neem Treatment Balm which contains Neem oil. 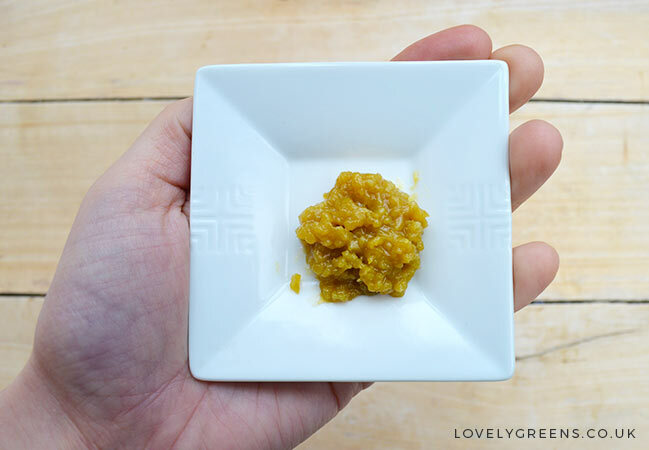 Whether you know a lot about Neem oil or nothing at all, I wanted to explain a little bit more about it and why many of my customers use my product for their eczema. Neem oil is pressed from the nuts and seeds of the Neem tree, native to the Indian subcontinent. 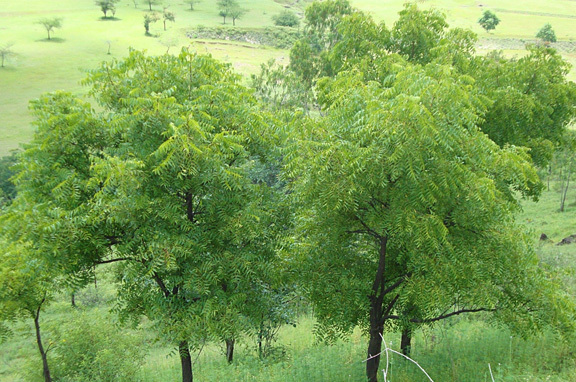 Neem is used widely in the Ayurveda system of medicine, one of the world’s oldest holistic medical systems where it is considered sacred and a symbol of good health. It’s not just the oil of Neem that is useful. Several parts of the Neem tree have been used in medicine throughout history for a variety of purposes. The earliest Sanskrit medical writings note the medicinal benefits of Neem’s seeds, oil, bark, roots and fruits. Neem in all its forms has had various uses, from creating beauty products, to treating a variety of skin ailments. People have used its twigs to clean their teeth and have ingested it in the form of tea to maintain general well-being. In India, the Neem tree has made a name for itself as the ‘village pharmacy’ and continues to be considered a divine gift from nature and trusted solution to many health conditions. Renowned for its wonderful healing powers, the Neem tree has more recently been introduced to tropic climates around the globe. You can find it in around 30 countries internationally, including in South America, Africa and Asia. Neem oil continues to be used by many around the world, and as is widely recognised as an effective antiseptic that can be used to treat a variety of skin disorders. More specifically, Neem oil has become widely acknowledged as an effective treatment for eczema. Although I wouldn’t recommend that you use Neem oil purely by itself as it’s very strong, using a product containing Neem oil will help to combat and relieve the symptoms of eczema, and here’s why. Why is Neem oil good for Eczema? Neem oil is well renowned for helping skin conditions, so it’s no wonder it has been used in natural skin care for thousands of years. Loaded with nutrients and rich lipids it is remarkably effective in helping to treat dry and irritated skin. Eczema is a common inflammatory skin disorder which causes irritable, dry and itchy skin. Many people find the itchiness uncomfortable or in cases even unbearable. Eczema usually runs in families as it lies in our genes. Although having eczema is unavoidable, one thing that eczema suffers can aim to avoid is dryness, which will make the condition a lot worse. This is where Neem oil comes in. It’s rich in essential fatty oils and vitamin E. Neem oil is a natural emollient which is what makes it so great at keeping your skin moisturised. It penetrates deep in to the skin to help treat small cracks caused by severe dryness. Many dermatologists recommend the use of Neem oil for eczema as its natural fatty acid and vitamin E content. These help to restore the protective barriers of the skin helping to lock moisture in, and soothe cracked, dry and sore skin. This means it works really well as an eczema treatment, helping to hydrate and protect severely dry skin. The great thing about Neem oil however is that it does so much more than moisturise. Neem oil is packed full of other properties that are beneficial to irritated skin. Neem oil has natural anti-inflammatory properties which mean it can relieve the often uncomfortable and painful side effects of eczema. Containing the anti-inflammatory compounds of nimbidin and nimbin mean that Neem oil gets to work at reducing swelling. The compound Quercetin is also present in Neem leaf oil, which supports the body in responding to inflammation by restricting the production and release of histamine and other irritants. So, on top of deeply moisturising your skin, Neem oil’s natural anti-inflammatory properties work on fighting the irritation and inflammation that are common symptoms of eczema. This also helps to lessen the sensation of itchiness which will likely stop you scratching- which only makes eczema worse. Another amazing thing about Neem oil is that it is analgesic, meaning it’s a natural pain killer. Neem oil reduces and often completely gets rid of pain caused by itching, inflammation, and dry, cracked skin. In fact, a Scientific Review in 2002 indicated that using Neem oil for eczema can help provide significant relief. Positive results were recorded after just 3-4 days of application. Finally, Neem oil also has antibacterial qualities due to its strong anti-septic properties. This can help towards clearing up and even preventing any secondary infections caused by cracked and exposed skin. A lot of eczema sufferers will find they are more prone to infections due to eczema breaking down the skin’s natural role as a barrier. Neem Oil helps to restore the skin, acting as a barrier against further infection. By now you’ll be able to see that Neem oil naturally contains so many wonderful properties that are perfect for relieving irritated skin. 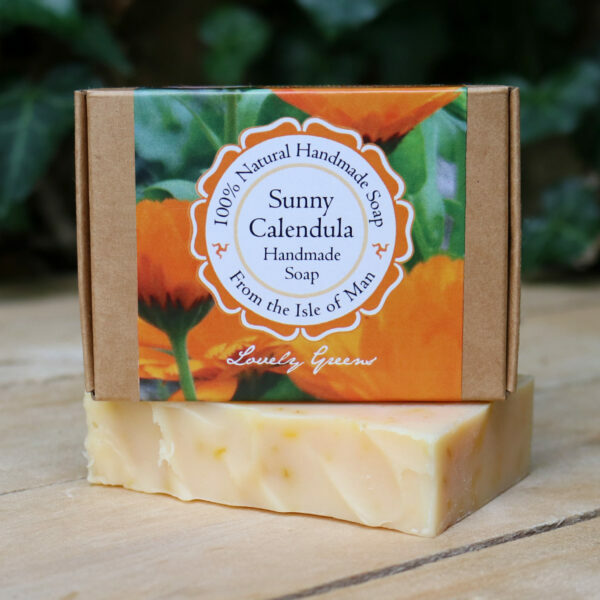 It moisturises severely dry skin, is anti-inflammatory, anti-bacterial and a natural pain killer, basically everything you need for a natural eczema treatment. Neem oil is pretty strong, so it’s not recommended to use directly on the skin. Instead, it’s best to use it mixed into another moisturising ingredient(s). I use 5% Neem oil in my Neem Treatment Balm alongside Shea Butter, Cocoa Butter and Beeswax, which all help to further moisturise the skin and keep that moisture locked in. I also use sweet almond oil, castor seed oil and vitamin E oil, all of which are skin-loving oils that moisturise and protect sore skin. When using a Neem oil as an eczema treatment it’s important that it’s sensitive on the skin. All the ingredients I use to make my Balm are 100% natural. 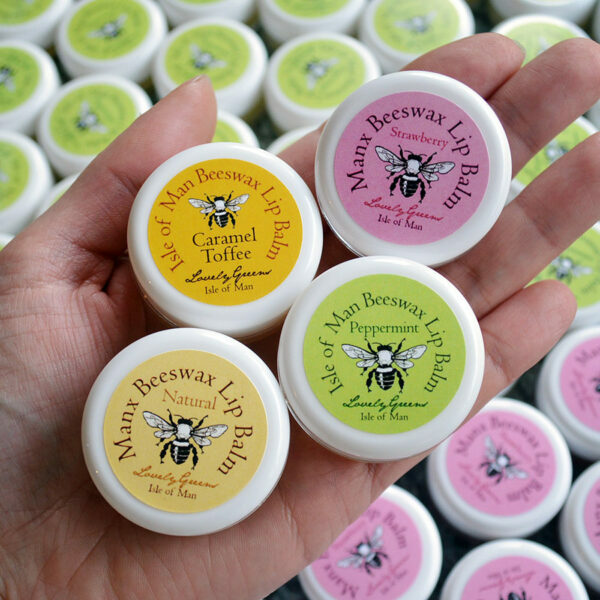 I make it here on the Isle of Man, so it’s a safe natural product without harmful chemicals. No fragrance is added which ensures that the product is as sensitive as possible. The consistency of my Treatment Balm is that of an ointment. This makes it really easy to massage into the skin as it will melt upon contact. You can use this product daily, but don’t be afraid to use it more than once in a day. Any time your skin is feeling sore or dry, apply the Balm to help soothe redness, dryness, inflammation, and irritation. I have to be clear that this isn’t considered a medicinal product but I have many customers who use it to treat their eczema. 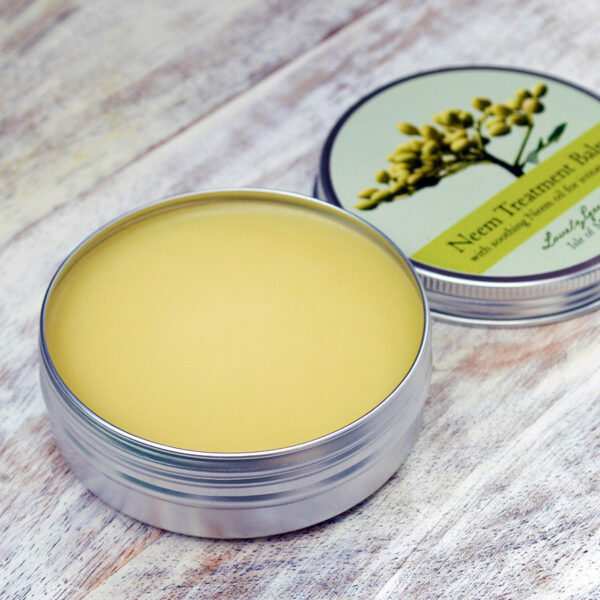 Whilst eczema itself can’t be cured, lots of my customers find that Neem Treatment Balm helps soothe their irritated skin. You can read my customers’ reviews here to find out more. If you want to sample my Treatment Balm to see if it works for you, I also sell a 10ml pot. I’d recommend that you try it out just to make sure that the product is right for your skin. 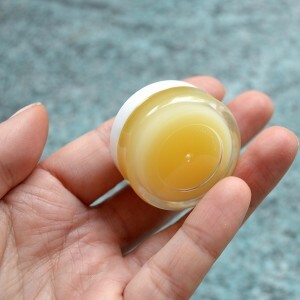 Neem Treatment Balm also comes in a small sample size.